Suppliers and most EDI providers hate them. They love to vent their frustrations on bulletin boards and blogs (reply with your thoughts). Bottom line: testing fees add value to the buyer and the entire supply chain if the buyer, seller, and EDI testing outsourcer employs best practices in executing an on-boarding event. Now for the readers who know me, you are either laughing or just in disbelief. But let me explain how testing services and fees should work and even give an example of how best practices are being employed at one of the largest retailers in North America. "Collaborating with competitors is good for customers and it's good for the industry," proclaimed Ross Born, Co-CEO of Just Born Candy, makers of Mike and Ike, Hot Tamales, and those yellow Peeps that are synonymous with Easter. Collaborating with competitors is good? You might be thinking that all of those years of eating marshmallow Peeps have finally gone to Ross's head. 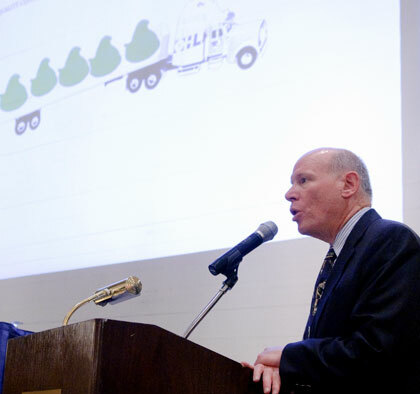 But in fact, his long term vision and strategic partnership with international logistics firm OHL, was the keynote presentation last week at Lehigh University's Center for Value Chain Research Spring Symposium.